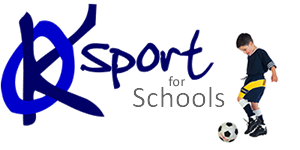 KO Sport provide curriculum PE and PPA cover. At KO Sport we love what we do. We pride ourselves on our fun and professional service. This is how we have developed such a high quality service provided to Schools, Adult Education Centres, Children Centres and Librarys across the West Midlands. KO Sport only uses enthusiastic and experienced sports professionals. You won’t hear our coaches droning on, but you may hear plenty of excited instructions, encouragement and feedback. The content of the lesson will depend on the brief by the customer and the age and ability of the children/adults attending. All lesson plans are progressive in nature, enriching and structured to meet the standards of the school and OFSTED. Example lesson plans can be provided on request. The same coach delivers all sessions ensuring continuity with both children and staff with the same coach coming into the school every week. The continuity of the coach allows KO Sport to provide assessments on all classes and children with attainment levels for each area of physical education. KO Sport Coach Educator also supports the coaches by carrying out a number of external observations of the coaches, and their classes, to ensure that our high standards are being maintained. Copies of these reports can be made available to the school for your records. If there is an unforeseen circumstance which means your designated coach is unavailable, KO sport will still guarantee cover. In addition, all our coaches are highly qualified, CRB enhanced, first aid qualified and internally trained.